Simple esthetic defects can be corrected with the help of conservative dental porcelain and composite veneers but large tooth surface defects due to loss of natural tooth structure requires more invasive treatment options such as dental crowns. Conventional dental crowns need multiple treatment visits to the dental office and need of a good dental laboratory for the satisfactory fabrication of this prosthesis. Advancements in cosmetic dental sciences has revolutionized the concept of dental crowns through the development of innovative CEREC same day dental crowns which are offered by Albuquerque New Mexico 24 hours emergency specialist cosmetic & restorative dentist Dr William C Gardner at NM Family and Cosmetic Dentistry PC. Q. WHAT ARE SAME DAY CROWNS? WHAT IS CAD/CAM TECHNOLOGY? A. Same day crowns are possible single treatment visit in the dental office with the help of state of the art new CAD/CAM technology. This technology stands for computer assisted designing followed by computer assisted manufacturing of cosmetic dental crowns on the same day by expert and well-trained team of dental health care professionals, dental technicians and dental assistants. The latest computerized designing and manufacturing technology makes it possible to design and fabricate dental crowns on the same day for the restoration of structure, function and esthetics. A. CEREC is a system with an abbreviation which depicts Chair side Economical Restoration of Esthetic Ceramics. It employs state of the art CAD/CAM technology in order to design and construct dental restorations such as inlays, onlays, veneers, crowns and bridges for you in just one treatment visit on the same day. Natural tooth color matching dental crowns helps teeth with damages or when the natural teeth shows damages. 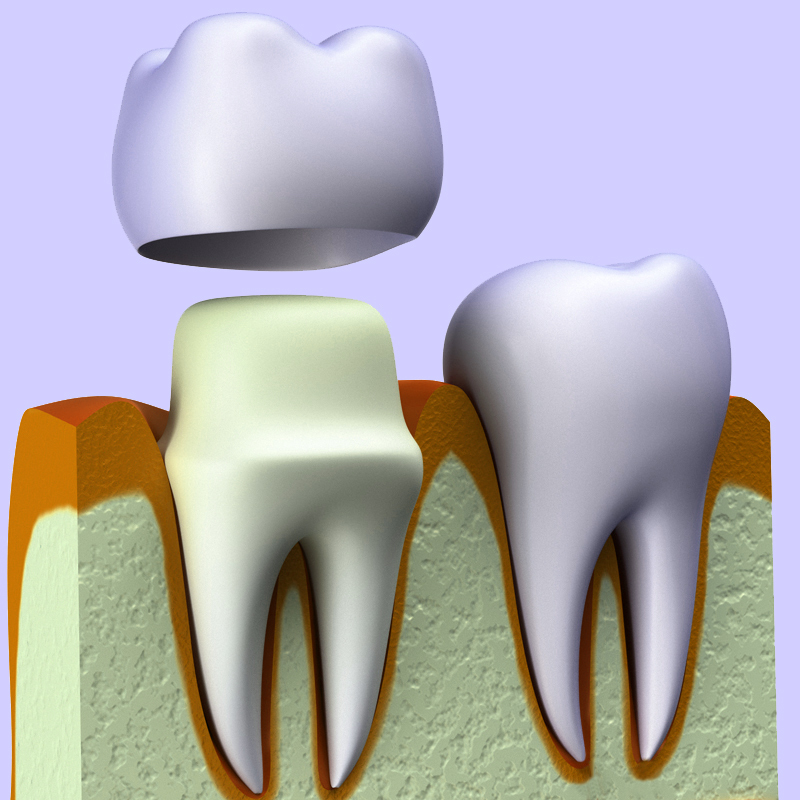 Q.BENEFITS AND MERITS OF SAME DAY DENTAL CROWNS? A. Dr William C Gardener is the popular Albuquerque New Mexico Dentist Cosmetic. He will take complete history followed by thorough oral examination for the assessment of overall condition and taking an informed consent. Reshaping and necessary preparation of the decayed, repairing of damages of the teeth is quickly done. An optical impression of your tooth under operation will be recorded and transferred onto the connected computer. The special software on the computer device will completely evaluate the dimensions of the tooth preparation and makes the best virtual design for the construction of dental crown. Your dental health care provider can make necessary alteration based upon his knowledge as well as on your genuine demands. The CAD/CAM machine fabrication unit will then cut down the porcelain blocks inserted in the machine. It gets a finishing providing life-like and beautiful dental crown prosthesis. This gets adjusted on your natural teeth within short time period and thus, your problem is taken care of. Call now for Albuquerque New Mexico Dentist Cosmetic because you will get the best options right away. Q. HOW LONG WILL THE WHOLE PROCEDURE TAKE? A. The whole treatment procedure can take only one or two hours for providing the best possible outcomes for the improvement of your smiles and functional demands. Get in touch for Albuquerque New Mexico Dentist Cosmetic because they offer the best treatment.